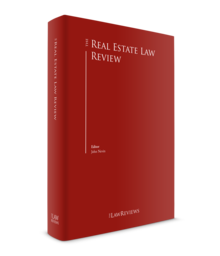 Like Danish law in general, Danish real estate law is based on legislation rather than case law. Regulation is comprehensive covering surveying and registration of real estate; the registration and protection of rights in real estate; area planning; construction of buildings, including safety and energy efficiency; tenancies, pollution, tax valuations and real estate taxes; compulsory acquisitions and compulsory sales, etc. Moreover, real estate financing is subject to intensive regulation as part of Danish financial law, which to a wide extent reflects EU regulation. Real estate in Denmark is accurately mapped in a grid covering all Danish land that is made available and maintained by the Danish Geodata Agency. All rights in Danish real estate, including ownership, can be registered in the central Danish land registry, an electronic register that includes a section for each individual property.2 The land registry is administered by the Danish courts. All substantial rights in Danish real estate should be registered in the land registry, as such a registration made in good faith extinguishes existing, non-registered opposing rights, and protects the registered rights against future opposing rights. Among the rights that should be registered are title (ownership rights), mortgages and rights of use extending the rights according to the legislation on tenancies. Moreover, public registers regarding buildings, ascertained pollution and pollution risk, tax valuations and area plans are maintained and are sources of information about Danish real estate. Private registers of real estate for sale and hire and of real estate sold are also available. Investment in Danish real property is generally made through one or more Danish companies, normally a Danish holding company with subsidiaries each owning a single property or a group of properties. The structure creates a profit centre for each property or groups of properties and is tax efficient both when operating the property or properties and in the event of sale. This will be explained further in Section IV, below. Direct investment in real property or investments through limited partnerships are also widely used. The limited partnership structure combines limited liability for the investor and taxation as if the investor had owned the property directly (the limited partnership is tax transparent). This will be elaborated on in Section IV, below. Under Danish law, the parties are free to agree on any term and condition for the purchase and sale of Danish real estate, including that the transaction be governed by the laws of a country other than Denmark,3 or that legal proceedings be instituted before the courts in a country other than Denmark or be resolved by arbitration. However, the parties should take into consideration that a number of legal issues regarding the real property, including registration and protection of rights, tenancies and public regulation, will be subject to Danish law and venue in any case. The Danish real estate market has been divided in two since the gradual bursting of the Danish real estate bubble, which started in 2007 and culminated following the credit crunch. While transaction activity and prices in the major urban and industrial areas in Denmark – including Copenhagen,4 Aarhus,5 the Triangle Area,6 Odense7 and Aalborg8 – have been steadily increasing since the credit crunch, exceeded pre-crises levels in 2016 and reached an all-time high in 2017,9 activity and prices in the rest of Denmark remain low, and a number of properties in the peripheral regions are simply unsaleable and will inevitably have to be pulled down. Through the Danish mortgage credit associations issuing large series of highly rated bonds, financing of real estate is generally available at lower costs in Denmark than in other countries. However, requirements for financial solidity in investments, including requirements for equity and sustainable positive cash flow from the target property, are relatively strict. Normally, equity at 30–50 per cent of the investment will be required even if cash flow from the target property is clearly positive and the risk of vacancies or falling market rents is low. This is a result of the increased regulation of the financial sector and more careful lending policies following the credit crunch and the financial crises. Consequently, the Danish market for investment properties is now dominated by players with deep pockets, including Danish pension funds, foreign and Danish real estate funds and high net worth individuals. In the attractive areas, especially Copenhagen and Aarhus, competition for high-quality real estate is high and prices have been increasing and yields decreasing accordingly. For the most attractive properties, yields down to 3 per cent have been seen, even if there is no immediate potential for improving profitability of the property in question. The purchase interest even at these yields is driven by professional investors seeking alternatives to investments in bonds generating yields at between 0.5 and 2.5 per cent, which for the long-term bonds are combined with a substantial price risk. The question of whether a new price bubble has been inflated in the above major urban and industrial areas of Denmark, in particular Copenhagen and Aarhus, has been discussed. Until now, however, the answer has been no. In contrast to the market situation that existed before the bubble started to burst in 2007: (1) prices are based on actual yields not on speculation on quick resales at higher prices; (2) the yields are still attractive in comparison to bond rates; and (3) the strict requirements regarding investors' equity ensure that most of the present investors will easily survive any possible new crises, including rising vacancies and falling rents. Moreover, further inflation in prices seems to be avoided, as the market activity in the attractive areas has been falling in the second half of 2018. Investors have been reluctant to meet the vendors' price expectations, which can be ascribed to a number of reasons. The high demand among investors for residential properties in Copenhagen and Aarhus in particular has gone down because of falling yields and the fact that completion of a huge number of building projects in Copenhagen10 and Aarhus in 2019 will mean that the supply of apartments in these cities – including owners' apartments – is expected to exceed the demand from end users for the first time since the financial crises were overcome. Finally, the increasing concerns about the outlooks of interest rates and the world economy and the general feeling that good times must come to an end all mirrored in the prevailing unrest on stock exchanges have also affected property investors' appetite for new investments in Denmark. The good thing is that the risk of a price bubble has decreased. Until around 2012, the Danish property market was regarded as local and non-transparent by foreign investors, who instead focused – as far as Scandinavia was concerned – on Sweden, especially Stockholm. The increased attention given to the safe harbour of the politically stable and economically strong Nordic countries,11 and the low costs of purchase and financing of Danish properties have, however, drawn interest among foreign investors to Denmark – first and foremost to the Copenhagen region and to residential property – and foreign investments have gone up dramatically. In 2012, foreign investments accounted for around €0.6 billion of a total turnover of Danish investment properties at approximately €2.8 billion, which corresponds to roughly 21 per cent. In 2017, these numbers had increased to around €6.6 billion (foreign investments) of approximately €12.3 billion (total transaction volume) corresponding to roughly 54 per cent. Looking solely at residential properties in Copenhagen, the figures are even more dramatic. In 2017, foreign investors – headed by some very active Swedish real estate funds – accounted for approximately 78 per cent of the transaction volume. In light of this, Denmark cannot be regarded as a local market any longer. Legally, the Danish property market has been – and still is – open for foreign investors, who in all legal aspects have the same standing as domestic investors. However, investors domiciled outside Denmark12 need permission from the Ministry of Justice to acquire real estate in Denmark, unless the investor is domiciled within the European Economic Area (EEA)13 and needs the property as a permanent residence or the acquisition is a precondition for conducting business or delivering services.14 As hiring out real estate constitutes service delivery, purchases of both commercial property and residential property for hiring out can be made by investors domiciled within the EEA without permission. For investors domiciled outside the EEA, permission for such purchases can be obtained. If, however, the purchase is made through a Danish company or other legal entity domiciled in Denmark, the rules and permission are in any case irrelevant. It should be added that the rules effectively prevent investors and other legal or natural people domiciled outside Denmark from purchasing holiday houses in Denmark. As regards such houses, no exceptions for EEA-domiciled buyers exist, and in practice permission from the Ministry of Justice is not achievable. Moreover, the rules are complemented by rules also preventing Danish companies and other legal entities from purchasing such houses without permission. The rules and practice are based on the agreement on Denmark's admission into the EEC.15 The Danish government negotiated a reservation for fear of great demand for Danish holiday houses from the citizens of neighbouring EEC countries that would prevent ordinary Danes from purchasing a holiday house in Denmark. As noted in Section I.iii, above, investments in Danish real property are normally made through a Danish holding company with subsidiaries each owning a single property or a group of properties. The structure creates a profit centre for each property or groups of properties. Moreover, the structure is tax efficient. The net income from the property will be subject to Danish corporate tax at the rate of 22 per cent for the subsidiary. If the Danish holding company owns 10 per cent or more of the shares in the subsidiary, dividends can be distributed from the subsidiary to the holding company free of tax. The same applies to dividends from a Danish company to foreign companies that own 10 per cent or more of the shares in the Danish company, if the foreign company is (1) domiciled within the EEA, or (2) within a country with which Denmark has entered into a double taxation avoidance agreement (DTAA).16,17 However, if the foreign holding company is only a 'flow through' company for an ultimate owner in a tax haven (the beneficial owner), this owner becomes liable to tax in Denmark, and the Danish tax authorities will request that 27 per cent withholding tax of dividends be paid by the Danish company. If the foreign company is domiciled in a country with which Denmark has entered into a DTAA, including countries within the EEA, and the foreign company owns less than 10 per cent of the shares in the Danish company, withholding tax must be paid by the Danish company according to the relevant DTAA. A normal rate for withholding tax in these instances is 15 per cent of the dividends.18 In any case, where withholding tax must be paid according to a DTAA, either the withholding tax should be credited in the foreign company's domestic taxes, or the foreign company should be able to reclaim the withholding tax from the Danish tax authorities. If the foreign company is domiciled in a country outside the EEA with which Denmark has not entered into a DTAA, including tax havens, 27 per cent withholding tax of dividends must be paid by the Danish company. If an investment has been made in residential property not divided into owners' flats,20 sale of the property and the controlling interest in a company owning the property is subject to a pre-emption right for the tenants according to the Danish Act on Residential Tenancy. If instead a holding company owning the company owning the property is sold, the pre-emption right does not apply. Therefore, a double-holding structure should be considered if investments are made in residential property that is subject to the pre-emption right for the tenants. The costs of forming Danish companies (A/S, ApS or IVS)21 and fulfilling financial reporting requirements, etc., are limited, and the number of Danish companies used in the structure has therefore little influence on the cost base for the investor. In short, and in general, investment in Danish real property through Danish companies provides tax efficiency and flexibility if and when the investor wants to exit. As an alternative to investing through one or more Danish companies, direct foreign investment in real property or investment through a partnership (I/S), a limited partnership (K/S) or a limited liability partnership (P/S) could be considered. By choosing any of these options, the foreign investor will become the tax subject in Denmark, as the I/S, K/S and P/S are all tax transparent entities.22 The foreign investor will be liable to pay tax in Denmark on the net income from the property,23 including an obligation to calculate this net income on an annual basis and to file annual tax returns with the Danish tax authorities. If the investor or owner is a foreign company, the tax rate for the net income from the property will be the Danish corporate tax rate of 22 per cent. If the investor or owner is a natural person, the tax rate will be between approximately 41 per cent and 56 per cent; however, by choosing the Danish tax scheme for private businesses, and keeping the income in the Danish establishment, the natural person will be able to defer all taxes above the corporate tax rate of 22 per cent until exiting the investment in Denmark. By investing through a K/S or a P/S, the investor can create a corporate wall around the investment in Denmark and thereby limit his or her liabilities to the amount invested and to possible guaranties that the investor has given to mortgage credit associations, banks or other suppliers to the Danish property. However, as the investor – with the exception mentioned in footnote 22 – is the tax subject in these cases, he or she will not be able to curtail his or her liability in relation to the Danish tax authorities through the corporate wall. Planning in Denmark is governed by the Danish Planning Act.24 The planning authorities in Denmark are the Danish Ministry of Industry, Business and Financial Affairs and below that the Danish municipalities, of which there are 98. According to the Planning Act, each area of Denmark is labelled either as rural, urban or as a holiday-house area, and the possible land use depends primarily on this label. The options for building in rural areas are largely restricted to buildings and other facilities necessary for the farm units in the area. Similarly, the options for building in holiday-house areas are restricted to primarily holiday houses. Each municipality must develop a 'municipality plan', which must be updated at least every 12th year. The municipality plan must include a framework for the infrastructure in the municipality and the purpose and building density of each sector of the area. A local development plan, detailing the geometry and use of buildings under the municipality plan, will normally be required for land development and the erection of new buildings. Such a local development plan will be prepared by the municipality, often in cooperation with the developer or investor owning or being willing to purchase the area to undertake the development works. However, political approval is in any case required, and final approval cannot take place until a public hearing has been held. To protect the urban environment in the city centres and support a diversified supply of shops, the Planning Act includes restrictions on the development of shopping malls outside the city centres and on the size of shops. To protect an open and accessible coastline, the Act also includes restrictions on construction on and along the coast. The use of property, including buildings, can – as far as the Planning Act is concerned – be changed within the limits set by the relevant municipality plan and, if such a plan exists, the local development plan for the area. To achieve changes beyond these limits, an addendum to the municipality plan or a new local development plan is required. As to planning, see also Section VII, below. Under the Act on Contaminated Soil,28 the Danish regional administrations29 map contamination and possible contamination of land on the basis of available information on the use of the land – both in the past and in the present – and on the basis of field studies. Field studies are, however, only carried out on land likely to be so heavily contaminated or so located that public health, including drinking water, or the environment is endangered. The registrations made are publicly available. The Environmental Protection Act30 lays down the 'polluter pays' principle, which is detailed and expanded in the Act on Contaminated Soil. The principle implies that the polluter is liable to carry out, and pay the costs of, all measures necessary to prevent, limit, analyse and clean up the pollution. On the other hand, no one but the polluter can be ordered to pay for the above measures. This also goes for a subsequent purchaser of contaminated land or buildings. However, if such a subsequent purchaser wants to build on the land or make use of the building, he or she may have to carry out and pay for analysis, decontamination or measures to encapsulate the pollution to fulfil requirements in the building or use permit. Such requirements are normal in building permits for residential buildings, institutions or other buildings in which people will have longer stays, or with surrounding areas to be used as playgrounds or the like. No transfer tax or stamp duty applies to the purchase of real estate or real estate financing. However, all substantial rights in Danish real estate should be registered in the land registry, as such a registration made in good faith extinguishes existing, non-registered opposing rights, and protects the registered rights against future opposing rights. Registration of mortgages on the property: 1,660 Danish kroner plus 1.5 per cent of the principal of the mortgage deed. However, if mortgage deeds previously registered on the property are cancelled simultaneously, the registration duties paid on such mortgage deeds can be deducted. The same goes for registration duties represented by 'duty' mortgage deeds. Other rights, including rights of use: 1,660 Danish kroner. When purchasing building land or new buildings, VAT, at 25 per cent, on the purchase sum must normally be paid. In general, financing of real estate is achievable in Denmark at lower costs than in other countries through the Danish mortgage credit associations. Moreover, these associations normally offer a wide variety of loans, enabling the real estate investor to choose (1) duration (up to 20 years and in some cases up to 30 years), (2) short, medium or long-term interest rate, and (3) repayment profile (loans can be offered with grace periods of 10 years and in some cases longer). Margins will normally be between 0.6 and 1.5 per cent depending primarily on the seniority of the mortgage, the assessed creditworthiness of the borrower, and the quality of the property. The loans are granted against mortgage security in the property, normally first mortgage. Mortgage credits can be granted up to a certain percentage of the market value of the property depending on the type of property: 40 per cent for land, 60 per cent for commercial buildings, and 80 per cent for residential buildings. However, for credits beyond 60 to 70 per cent of the value, the margins will be substantially higher than for credits below this level. In view of the low prices and wide selection of loans, Danish mortgage credit loans are the preferred source of financing for real estate in Denmark. Accordingly, most security granted over Danish real estate is first mortgages with Danish mortgage credit associations. Leases of business premises are governed by the Danish Act on Business Rentals,33 which provides for freedom of contract and, with a few exceptions, only comes into force to the extent that the parties have not deviated from it by their contract. This contrasts with rental of residence, which is subject to intense, mandatory regulation under Danish law based on the lawmaker's assumption that residences are a limited resource and that the tenant is the weaker contract party and needs protection. In accordance with the freedom of contract, the rent for business premises can be agreed by the contract parties without restrictions. So can subsequent regulation of the rent. However, the rent or the regulation can be set aside by the courts under the Danish Act on Contracts34 if the rent or the regulation is found to be unreasonable, but this option is very rarely used. Furthermore, the following rules apply unless the parties have agreed otherwise: if during the contract period the rent proves to be materially higher or materially lower than the market rent (meaning the rent that a competent landlord and competent tenant would agree on for the lease in question), each of the parties is entitled to an adjustment of the rent to the market rent if he or she so requests. Such an adjustment, however, cannot take place until four years following the later of: (1) the beginning of the contract period; (2) the most recent requested adjustment to market rent in the same direction as now requested; or (3) any negotiated adjustment of the rent or other material terms and conditions for the lease. The adjustment is made in equal steps over a four-year period. Similarly, the following rules apply unless the parties have agreed otherwise: if real estate taxes or duties for the premises or its supplies of water, electricity, renovation, waste water disposal, etc., are changed, the landlord is entitled and obliged to pass on the cost increase or decrease to the tenant through a rent adjustment as of the date on which the change in taxes or duties takes effect. Normally lease contracts regarding commercial property state that the rent will be regulated annually in line with inflation expressed by the net price index calculated and published monthly by Statistics Denmark. Often, the landlord will also try to include in the contract a minimum annual rent rise of 2 or 3 per cent, which was a harmless clause when inflation was well above these levels, but with inflation between 0 and 1.5 per cent, such a clause can create an imbalance in the rent level over time. Almost without exception, lease contracts regarding business premises in Denmark will include an obligation for the tenant to pay for the internal maintenance of the premises in addition to the rent. The same goes for the tenant's consumption of water, heat, cooling, electricity and gas. The costs of these supplies will normally be included and distributed among the tenants in annual consumption accounts for the property. Moreover, it is becoming more and more common to also include in lease contracts an obligation for the tenant to pay for: (1) the real estate taxes for the property; (2) the property insurance; (3) cleaning and maintenance of common areas in and outside the building; (4) consumption of heat, water and electricity in these common areas; (5) maintenance and renewal of doors, windows and gateways in the building; (6) operation, maintenance and renewal of heating, cooling, air conditioning, ventilation, sprinkler, elevator, alarm and other systems in the building; and (7) maintenance and renewal of water pipes, sewage and electrical installations, all in addition to the rent. These costs will normally be included and distributed among the tenants in annual operation accounts for the property. This leaves the landlord with only the costs for the maintenance of the building shell (except doors, windows and gateways) and the administration and financing of the property, providing a very predictable and stable yield from the property. If the landlord builds or otherwise tailors the premises to the specific requirements of the tenant, the tenant will normally undertake between five and 12 years' security of tenure. If the tenant is to make material investments in the premises, the landlord will normally undertake similar security of tenure. To a wide extent, the Danish Act on Business Rentals protects a tenant from termination of the lease, even if the landlord has not undertaken security of tenure. Thus, as one of its very few mandatory rules, the Act states that the landlord can only terminate the lease contract for normal business premises in the following situations: (1) the landlord wants to use the premises him or herself and termination is fair, taking both parties' interests into consideration; (2) the landlord proves that demolition or alteration of the building means that the tenant must move out; (3) in spite of complaints from the landlord, the tenant or his or her personnel or his or her visitors by their behaviour cause insecurity, a health hazard or similar inconvenience for the property or those who legitimately come there; or (4) when material reasons make it particularly important for the landlord to be released from the lease contract and such release is fair, taking both parties' interests into consideration. Unless the contract stipulates a longer notice period, the landlord must give one year's notice in the first of these situations and three months' notice in the other three of these situations. In addition to the above situations, the landlord can terminate the contract with immediate effect in the event of material breach of contract on the part of the tenant; for example, non-payment of rent or subleasing without permission. However, in both these cases, the landlord must first give notice, requesting that the breach be remedied and informing the tenant that the lease will be terminated if the request is not complied with. If the landlord rightfully terminates the contract, he or she will be obliged to pay damages to the tenant including the tenant's costs for moving, unless termination takes place in result of breach of contract on the part of the tenant. If the value of the business that the tenant runs from the premises is dependent on the premises (e.g., a store dependent on the location of the premises), the amount to be paid by the landlord must include damages for loss of goodwill. These rules are not mandatory, if the value of the business run from the premises is independent on the premises. Accordingly, in such cases, the parties can agree that no damages are to be paid to the tenant in the event of the landlord's termination of the contract, and such an agreement is practically a standard in Denmark. By an amendment to the Planning Act, dated 3 March 2015,35 the former Danish government, led by the Social Democrats, authorised the municipalities to include in local development plans the provision that up to 25 per cent of housing stock in an area should be social housing stock. In general, such provision will impose a loss on landowners, as building rights to social housing do not hold the same value as building rights to commercial buildings or residential buildings not meant for social housing. Furthermore, decisions according to the Planning Act are regarded as regulation without compensation under Danish Law, meaning that no compensation is achievable from the Danish state or municipality for the landowners. After having taken office in June 2015, a new Danish government under the Liberal Party announced a plan, 'Growth and development in the whole of Denmark', in November 2015. The plan included a number of suggestions to support growth in Denmark, particularly in rural areas, which are lagging behind the major urban and industrial areas in Denmark (see also Section II above), suffering from depopulation and slower recovery from the financial crises. Among the suggestions was a liberalisation of the Planning Act to give the municipalities more freedom in their planning, and businesses and citizens more freedom to use and develop their properties. Among the specific suggestions was also a withdrawal of the authorisation for municipalities to include in local development plans the provision for 25 per cent of the housing stock in an area to be social housing stock. a decision to provide for a further expansion of Copenhagen Airport (CPH). The bill implementing the agreement – except for the part regarding CPH – including a 'modernised' Planning Act was presented to the Danish parliament in January 2017. Reflecting the intended changes in the focus of planning, the bill included transfer of the administration of the Planning Act from the Ministry of Environment to the Ministry of Industry, Business and Financial Affairs. The bill was passed on 1 June 2017 and took effect as of 15 June 2017. Traditionally, the agreed documents 'General conditions for building and construction works and supplies' have been used in Denmark for such works and supplies beginning more than 100 years ago. A revision of the documents has been prepared by a committee appointed by the Minister for Climate, Energy and Building in 2015–2018. After a hearing process, the revision was published in a report in June 2018,36 and it is expected that the revised documents will be used in general for agreements regarding building and construction works and supplies entered into on 1 January 2019 and onwards, replacing the previous versions from 1992–93. In June 2017, a new act on public valuation of real property was passed.37 The public valuations forms base for the calculation of Danish real estate taxes, and the previous valuation system had been heavily criticised, including criticism from the Danish Auditor General, for lack of accuracy – generating valuations often far from actual market prices resulting in real estate taxes that appeared randomly fixed and unfair. The act provides for a new valuation system, which by the inclusion of both more and better data regarding each single property should produce much more accurate valuations. However, the system, which according to the act was to be up and running and producing new valuations in 2019 for private property and in 2020 for commercial property and residential property for rental, has been delayed, as test versions have not performed satisfactorily. In view thereof, the deadlines for the new valuations have been postponed for one year by an amendment to the act. When the new valuations come, in 2020 and 2021 if the new timetable holds, it can be foreseen that the valuations and consequently the real estate taxes will go up in the major urban and industrial areas in Denmark, especially Copenhagen and Aarhus, and go down in the rural areas of Denmark. Combining that with the prevailing projections that interest rates will slowly increase from today's historically low levels, it must be expected that the moderation of the Danish real estate market that has been seen in 2018 will be extended. This will probably also affect the number of new building projects that are being started. As the activity levels and prices have been at an all-time high, the moderation, however, brings the market down from levels that – without the moderation – could have developed into a bubble. In that sense, the moderation is health-giving. 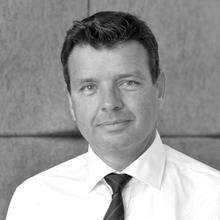 1 Torben Mauritzen is a partner at Aumento Law Firm. 2 Land with possible buildings, a building on leased land or owners' flats that per definition include a share in the 'parent' property. 3 Danish law includes, however, an ordre public rule, meaning that no agreement must infringe basic Danish principles of law. 4 The capital of Denmark situated on the island of Zealand and is by far the biggest city in Denmark. 5 The biggest city in Jutland, the Danish mainland – the western part of Denmark that borders Germany, as opposed to the Danish islands, the eastern part of Denmark including Zealand and Funen. 6 Industrial growth area in Jutland, including the cities Kolding, Vejle, Fredericia, Billund and Middelfart. 7 The provincial capital of the island Funen situated between Zealand and Jutland. 8 The provincial capital of the northern part of Jutland. 9 Turnover of investment properties, both residential and commercial, was approximately €12.3 billion. 10 6,000 units are expected to be delivered during 2019. 11 Denmark, Sweden, Norway, Finland – Iceland is a fifth Nordic country but is disregarded in this context because of the reconstruction of the Icelandic economy following the financial crises. 12 Hence, the criterion is not nationality but domicile. 13 EU countries and EFTA countries (Iceland, Norway and Liechtenstein). Although not a member of the EEA, Switzerland remains a member of the EFTA and through bilateral agreements participates in the internal market. 14 The rules accommodate the requirement for free movement of workforce, goods and services within the European Economic Area. 15 Denmark joined the EEC as of 1 January 1973. 16 Denmark has entered into DTAAs with most countries of the world. 17 It is a further condition that Denmark is obligated to waive or reduce taxation of dividends according to Directive 2011/96/EU or the relevant DTAA, which in general will be the case. 18 Corresponding with the Organisation for Economic Co-operation and Development's Model DTAA. 19 1,660 Danish kroner plus 0.6 per cent of the highest of the purchase sum for the property and the public valuation of the property; see also Section V.iii below. 20 Other exceptions exist, although these are less important. 21 The public limited company (A/S) and the private limited company (ApS) are both subject to the same regulation, primarily the Danish Companies Act. However, as an A/S 'light', the ApS is subject to requirements that are less strict in some areas, including the minimum requirement for capital of 50,000 Danish kroner as opposed to 500,000 Danish kroner for an A/S. The capital requirements for an IVS is only 1 Danish kroner. As, however, much more equity is required on the property market, an IVS has little relevance for real estate investors. 22 However, in some jurisdictions, including the United States, the entities will not be regarded as tax transparent or the investor will have the option to choose if the entity is to be regarded as tax transparent or not (tick-the-box rules). 23 The property will form a permanent establishment in Denmark. 24 Consolidated Act No. 287 of 16 April 2018 with amendments. 25 Consolidated Act No. 1122 of 3 September 2018 with amendment. 26 Consolidated Act No. 122 of 26 January 2017 with amendment. 27 Consolidated Act No. 27 of 4 January 2017 with amendment. 28 Consolidated Act No. 282 of 27 March 2017 with amendment. 29 Denmark is divided into five administrative regions, each with a regional council and administration. The regions are: The Capital Region (Greater Copenhagen, north-eastern part of the island of Zealand and the island of Bornholm), Region Zealand (rest of the island of Zealand and the islands south of Zealand), Region South (southern part of Jutland and the island of Funen and surrounding islands), Central Region (central part of Jutland including Aarhus), and Region North (the northern part of Jutland). 30 Consolidated Act No. 1121 of 3 September 2018 with amendments. 31 Corresponding to approximately €222. 32 However, if the property is purchased as a private home for the purchaser, the public valuation is irrelevant. 33 Consolidated Act No. 1218 of 11 October 2018. 34 Consolidated Act No. 193 of 2 March 2016. 35 Act No. 221 of 3 March 2015.